If the general appeal of journalism is it’s necessity in a democracy to reveal a truth to voting citizens, then the corollary is also true, that anything a journalist has to say must be carefully fact checked on behalf of the enormous power the written word in a reputable newspaper commands. It is good that journalists watch the government, keeping them on their toes and wherever possible not becoming a tool of their “favourite” – but that principle, when held as an ideology on behalf of which one becomes a zelot, can lead to a martyrdom for a flawed cause. Gary Webb came across a very important story. A story as shocking as it was important to tell, but he overestimated the gratitude of the public when he informed them, and he underestimated the power of the societal machine to turn on the individual, and in short, rode the “but I’m not responsible, I’m just the messenger” band wagon to his own annihilation. His argument is that a flawed messenger is still a messenger, but the central question associated with that is, if you haven’t done your homework and the story is a dubious cut from solid cloth, whose job is it to get the real facts out there and do you have a story at all when you can’t get the facts together? The details are not just because everyone is innocent until proven guilty, they are also to preserve the profession of journalism itself, and if you want to water down journalistic integrity (and lets face it everyone is these days) you can’t tell stories that have that much political impact. It’s a question of trust. Gary Webb (Jeremy Renner) is a top journalist with a small-ish newspaper, The San Jose Mercury News. A big fish in a small pond if you like. While he isn’t actually searching for the story that will win him the Pulitzer, he does regularly get himself into mini scraps by pitting his journalistic code of sorts against the will and upper committee of the newspaper he works for, constantly presenting himself as a beacon of integrity whose light is regularly busheled due to mundane issues like budgets and rosters. The size of his pond allows for this posturing, but when Gary does stumble across a very big story, in the form of one Coral Baca (Paz Vega) presenting him with a leaked document that all but states the CIA are turning a blind eye to illegal drug shipments on behalf of South American Contras that suit their agenda, he dives one hundred percent into the story that his life has been building toward. However, Webb soon discovers that the document was leaked to him, because he was an easy mark to be used as a tool to get a drug dealer off a hearing that would land him in jail, and sprinting down this trail, shows Gary that other journalists, better journalists that he, have stumbled upon the story and turned their backs in the past. Spurred on by what he can only assume is their fear and lack of passion for journalistic integrity, he grows high on his own Kool-Aid, pursuing the story down false or at best wobbly leads until he has all but ruined his life in the feeble chase of what he knows to be true. This point is made clearly in Kill the Messenger. Is Gary the hero he thinks he is, or is he more enthusiasm than talent? Unfortunately, screenwriter Peter Landesman doesn’t play this all important question up enough, and it does get lost in the great performance by Jeremy Renner and the strong desire of Michael Cuesta to bless Gary with martyrdom. Webb was eventually found dead from two gunshot wounds to the head, reports the film at the end (we know this anyway from the true story). The coronor declared it a suicide, the immediate assumption being a person can’t kill themselves twice in the head, anymore than they can cut off each arm with a knife, and that he was murdered. The suicide note at the scene and losing his house days earlier are the sorts of detail the film leaves out – kind of like the way Gary Webb operated himself in some respects. The film wants to tell the tale of a huge injustice at the hands of “the CIA” because Gary Webb wouldn’t leave the story alone, and that everyone around him was spineless because of the serious nature of the accusations. But while Gary Webb cried “journalism” he didn’t practise it well enough and this is the point the film never makes properly and it sufferes for the lack of detail. 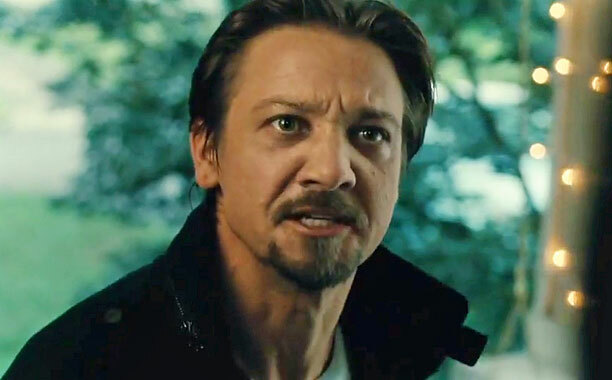 Its a fine performance from Jeremy Renner who plays it very Woodward and Bernstein, which, if turned back on itlsef would have been a deepr and more interesting examination into the motivations of the investagative journalist and the oh so many questions surrounding journalism today. But while these issues are hinted at, they’re never explored as The Message of the film, and it suffers for this. So, it becomes a good tribute to the man, showing the story from his perspective, but never really gives us enough meat to examine the problems that Gary Webb has become the unlikely messenger for. Once Kill The Messenger chose its path, Peter Landesman’s script struggles, lagging specifically in the parts where he’s opted to go light on detail. Therefore the bulk of the film is carried by its fine cast, not the least of which is Jeremy Renner himself who also co-Produces the film. He has an energy and verve that brings excitement to the screen and a palpable frustration as doors start to close against him. The film is fat with stars in smaller roles, great names such as Paz Vega, Michael Sheen, Rosemary DeWit, Andy Garcia, Ray Liota, Tim Blake Nelson, and Oliva Platt just to name a few. Everyone is strong, if underutilised and in many ways Kill the Messenger becomes an actors film, which while acceptable, isn’t what Cuesta intended, nor does it pay a proper tribute to Gary Webb. The man can be a hero warts and all, but a man with warts covered up, looks suspicious. 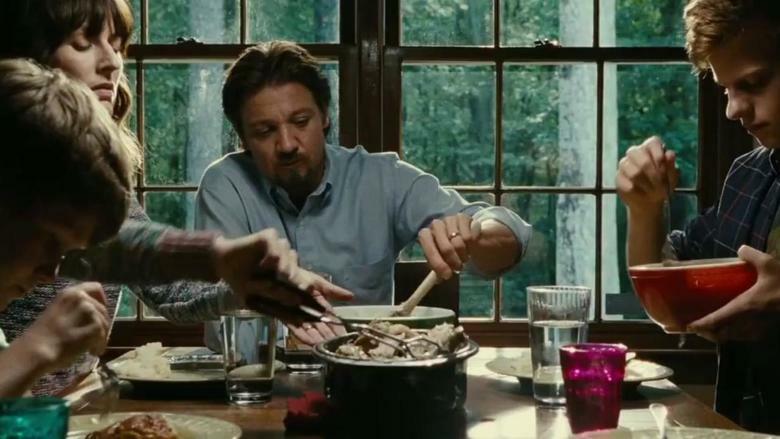 There is a lot to enjoy in Kill The Messenger, and as I have said many times on this blog, it isn’t really a serious crime when the worst thing about the film is that it could have been so much better.